Not yet? Break 'the self' regularly! However [fanfare] there is a free part of all of us. Boundless, unfettered, naked awareness/mindfulness that we can engage. Yes...I got a taste of such freedom yesterday and maybe the day before. Today, it's back to well, kind of a low mood - lack of sleep etc. I'm no longer sure there is such a thing as a whole and healthy self, or a broken self. There is just clear awareness and focus which is only peripherally aware of a thought and feeling stream, at this time in the morning anyway. The more I focus on becoming aware of my thoughts and feelings, the more emotional I become as a being, and I notice emotions leading the natural flow of thoughts. Often I am neutral, neither positive nor negative in mood. Then sometimes I find thoughts leading me to a new mood, often worry based. When I consciously apply Thich Nhat Hanh's philosophy of inviting seeds of happiness that the reverse happens, that I notice my thoughts leading me to happier moods. Mindfulness leads to concentration leads to insight. 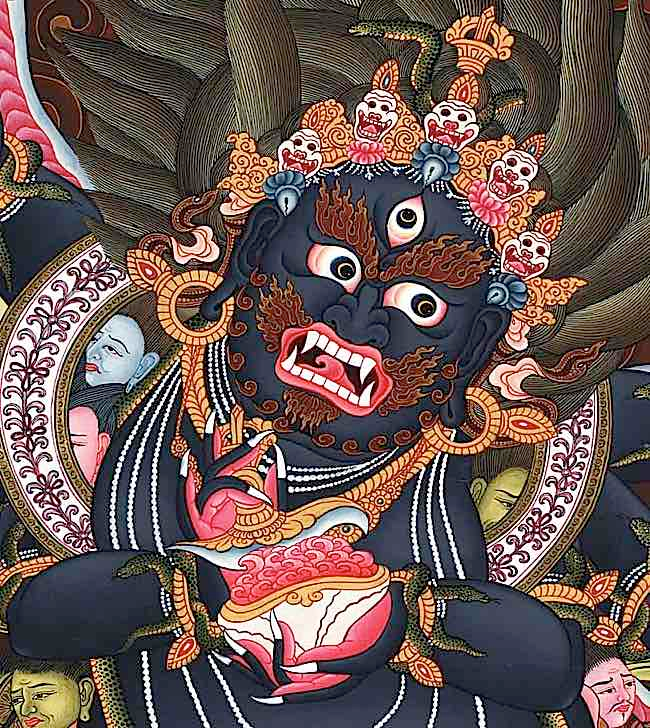 It is surprising how much of the contents of our mind is driven by the klesha's, unbeneficial impulses at heart.